Diet Teas — The Real Ones, That Is! Certain teas have a reputation for helping you lose weight. They claim to slim you down and tout themselves as “diet teas.” So we did a little investigation and came up with some interesting findings, including some cautions. Losing weight isn’t the only reason people want a slimming tea. They want something to help their digestion, keep them in shape for various activities (such as ballet and other forms of dancing, as you can see in some of the package images above), and improve their overall health. “Diet” actually refers to something broader than weight loss — it encompasses your general intake of beverages and foods. So, this makes a lot of sense. 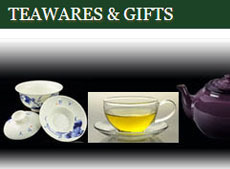 It also seems that green teas are especially trumpeted, deservedly or not, as having these benefits, as well as Wulong. 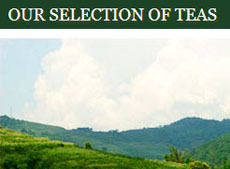 A lot of the “diet tea” products out there are herbals, not Camellia Sinensis. (These are herbal “infusions” and should be called such.) Several are touted for their various slimming effects, including as a laxative, a diuretic, or an appetite suppressant. How effective they are remains a big question, so much so that a large class-action lawsuit has been filed. The main issue seems to be that these products have not been sufficiently tested to see if they can do what the ads claim. Considering how big the diet business has grown in the past years, it is small wonder that diet teas are seen everywhere, with claims that would make P.T. Barnum blush. From 1999 to 2004, sales of dietary supplements have grown significantly (to the multi-billion dollar level), with nearly 20% of adults (mostly elderly and non-smoking females with a college degree) being the main customers. A heightened awareness of obesity is the main reason. Small wonder with the media constantly touting headlines about it. Plus, there is a dissatisfaction with the more traditional weight loss methods coupled with a desire for quick, easy results. The idea of teas being “slimming” dates back almost to the beginning of drinking tea in China. Most of the evidence is anecdotal, that is, people saying “It works for me.” (Small wonder there’s a class-action lawsuit.) One site says: “Green tea is rich in antioxidants and has a large number of other health benefits.” The flaw: green tea has been shown by various researchers to have about the same level of antioxidants as black, oolong, white, and pu-erh teas. 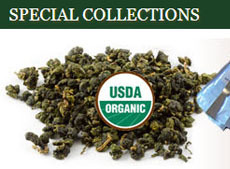 Another site says: “Basically, Oolong and Herbal teas cause weight loss by speeding up the metabolism with caffeine. Green tea does the same thing, but has an additional punch. It contains something called polyphenols that assist in burning stored body fat.” However, polyphenols are said to be in these other types of tea also. As for caffeine, it stimulates your brain and makes you feel perky. In fact, caffeine is added to a number of OTC remedies such as Excedrin Migraine to give you an initial “punch” to make you feel like the medicine is working faster. However, the Mayo Clinic, for one, pretty much concludes that caffeine is iffy when it comes to helping with weight loss (source). 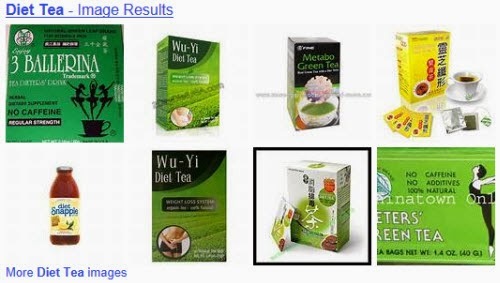 A recent article on Hubpages touts just about any tea as being good for your diet, but the author adds that Chinese tea is best (why is not explained). Basically, the true “slimming” teas (and no this is not a cop out) are any that taste good to you. The idea is to feel satisfied by something that is delicious and low-calorie. 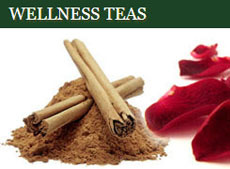 Any tea you like (even the kind flavored with bits of fruit, flower petals, and various spices) will do the trick. You can even enjoy a cup or two with a bit of milk and sweetener (some of the stronger tasting black teas come to mind here) without worrying. In fact, a key to feeling satisfied is a small amount of fat, such as in whole milk. Just don’t overdo. The main thing is to enjoy some tea instead of sugary colas, high-calorie alcoholic beverages, or high-fat/sugar foods. True weight loss involves a change of attitude and behavior toward the foods you eat and beverages you drink. This entry was posted in Tea Info for Newbies and Up and tagged diet, JAS-eTea, slimming, weight loss. Bookmark the permalink.